Pictured are (l-r) Johnny Durbin, Mr. Parks, (? ), Wanda Foster, Mrs. Moberly, and Sheriff Kenton Moberly. 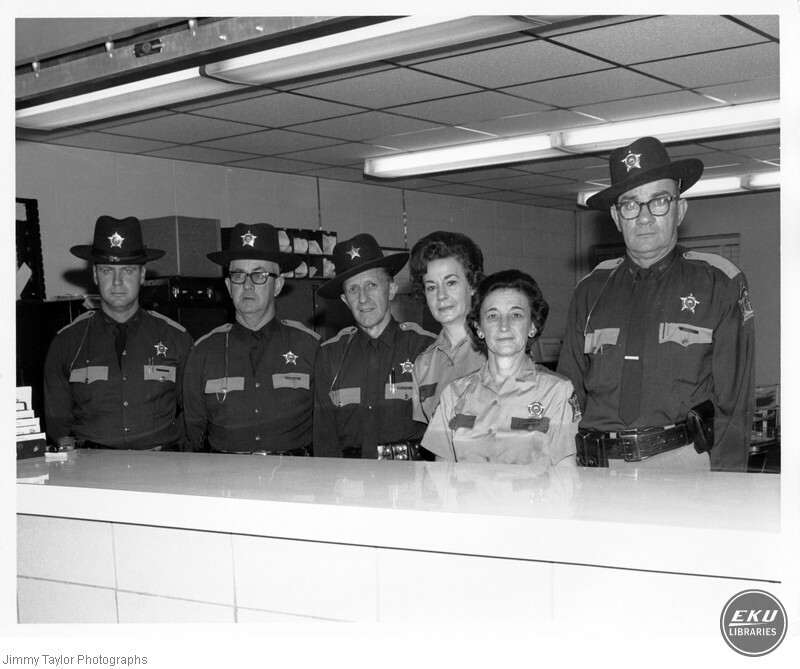 Taylor, Jimmy, “Madison County Sheriff's Department,” Digital Collections, accessed April 22, 2019, https://digitalcollections.eku.edu/items/show/23809.